Save $3 when you buy this $10 gift certificate to Billy’s Sub shop in Ocean City and West Fenwick Island. 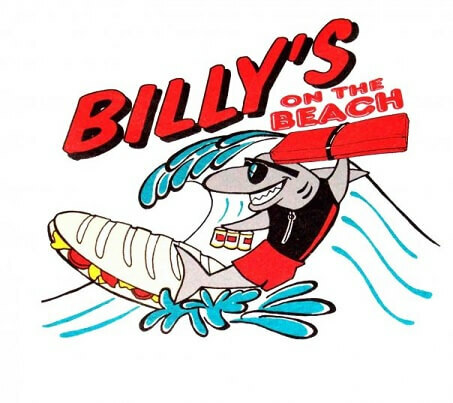 Billy’s Sub Shop, located in Ocean City since 1959, offers extra large, delicious subs served on fresh rolls delivered from Philadelphia daily, fresh dough pizzas, old fashioned thick milk shakes and ice creams, home made salads, and a variety of tempting sides. Their selection of children’s meals are served in their very own plastic beach bucket. Billy’s delivers to all of Ocean City, Fenwick Island and West Fenwick, or you can call ahead to place your order and pick it up yourself. Enjoy the atmosphere in their family friendly dining room and start creating your own Billy’s family traditions. Gift Certificate valid at 140th Street Ocean City location and West Fenwick island location only.